Advising | Colorado Mesa Univ. 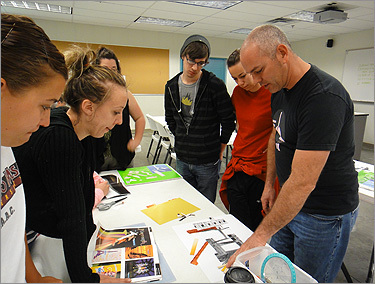 If you are a new, returning or transfer student, the Art and Design Department faculty can help you with your academic goals. We are determined to empower students with the academic information they need to graduate with a degree in art. We can help you understand the requirements for your major, discuss career options and help you complete your graduation petition. Art and Design Department students are encouraged to visit regularly (a minimum of once a semester) with their advisors. Come see us. E-mail for an appointment. Call or just stop by and see your faculty advisor. Your advisor can run a detailed report on your completed credits and you can see how close you are to completing a degree. To declare a major, a second major, or a minor in the Art and Design Department, contact Ashtonn Means on the second floor of the Fine Arts building (970-248-1833 or ameans@coloradomesa.edu). To set up an appointment with an Art and Design Department faculty advisor in your concentration area, see the contact information below.